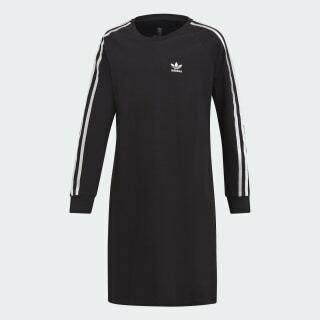 A sporty dress with classic 3-Stripes on the sleeves. A classic athletic look makes a fresh statement. This juniors' dress has all the comfort of a favorite sports jersey. 3-Stripes on the sleeves and a Trefoil logo on the front add authentic adidas Originals style. 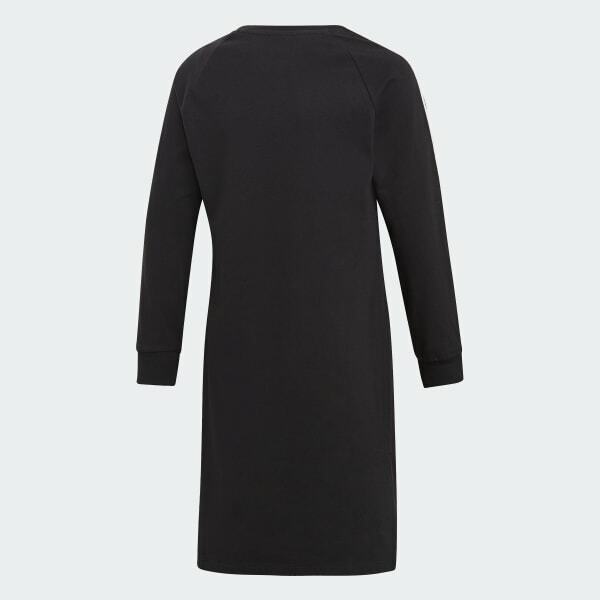 The soft cotton fabric is built to stretch so this dress feels relaxed and easy to wear.